It’s time to speak out and Take a Stand! 2) To encourage and support people in need as a friend. 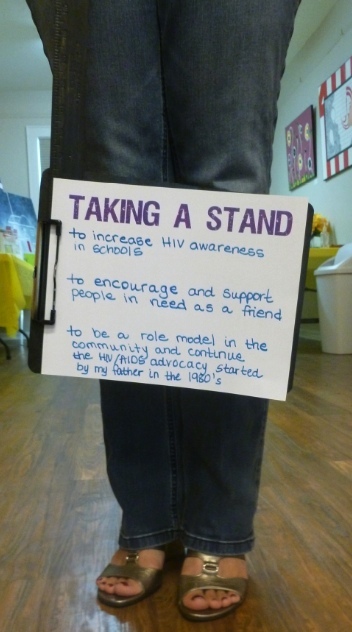 3) To be a role model in the community and continue the HIV/AIDS advocacy started by my father in the 1980s. So now, we invite you to speak up, speak out, and be heard! Send us your message with a picture of your feet as seen above! We’d love to post it! What will you Take a Stand for? Send all photos to: letstalk@rwhp.org. Look out for a new Taking a Stand post next Thursday!